Most people take for granted their ability to make decisions about how to live their life and conduct their affairs, but for those facing physical or mental impairments, making such decisions may not be possible or advisable. Typically, these challenges emerge as someone enters the later years of life, which often brings cognitive and physical dysfunction associated with the aging of the body. When a person is no longer capable of caring for him/herself and/or handling financial/legal issues, it may be time to consider appointing a guardian. Guardians are appointed by the court and serve as stand-in decision-makers for individuals determined to be incapacitated, termed wards. The extent of the guardian’s authority depends on the needs of the ward, and one woman is fighting to get some of the rights ceded to a guardian back under her control. A 101-year-old woman from Orange County is trying to regain her right to vote, which was lost in 2015 when a court found her to be completely incapacitated. 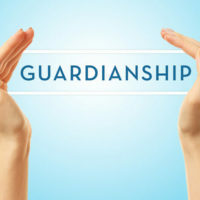 Guardians perform important services for those who can no longer make sound decisions, but given the large amount of authority they can possess, understanding how guardianship works is necessary to decide if this process is appropriate for a particular person. Generally, a guardian is appointed to make decisions about ward’s person, property or both, and courts grant either plenary or limited guardianships to address the needs of each particular ward. Plenary guardianships are used when a person is totally incapacitated and unable to execute any of the tasks necessary to care for him/herself or manage property. Limited guardianships are employed when a ward has some capacity to manage his/her life and affairs, but requires help to deal with some issues. Further, guardianships can be voluntary or involuntary. Guardians over the person have the authority to exercise the rights and powers needed to care for the ward’s well-being, including where the ward should live. Guardians over property hold control over all of a ward’s property, both personal and real, unless the court orders otherwise, and must collect and preserve any assets for the ward’s benefit. Importantly, guardians are only appointed if other less restrictive options are unavailable, and if a guardian is necessary, the least restrictive form should be used. Any Florida resident over the age of 18 is qualified to serve as a guardian, provided the person has no felony convictions, convictions for abuse or neglect, or conflicts of interest that would jeopardize the proper execution of the guardian’s duties. Non-residents may also serve as guardians if they are related by blood to the ward, a spouse of someone related to the ward, or legally related through adoption. Generally, family members are preferred since they are most familiar with the ward and more invested in putting the ward’s interests first. Otherwise, the court will look for a person or entity with the professional skills necessary to handle the ward’s needs, such as a bank for a property-based guardianship. Further, anyone can designate a guardian in advance, called a preneed guardian, who is authorized to takeover necessary decision-making when someone is declared incapacitated. A court is not bound to appoint this person, but will generally approve the named individual unless there are grounds to disqualify him/her. If you or someone you know is concerned about appointing or designating a guardian, talk to an attorney experienced in guardianship matters. Guardianship performs an important function for impaired individuals, but it also invasively cuts off a person’s prerogative to exercise his/her rights. Thus, guardianship should only be used with a full understanding of the consequences, which is where an attorney can provide assistance. 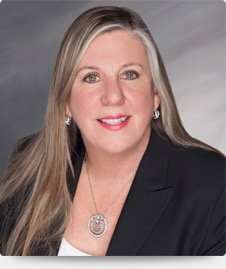 The Law Office of Joyce A. Julian, P.A. understands the difficult circumstances for families facing these situations, and will work to represent your interests. If you live in the Fort Lauderdale area, contact the office today for a free consultation.